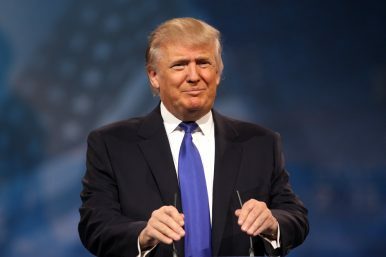 On November 8, 2016, Donald J. Trump, a former reality television star and real estate mogul with no experience in elected office, was elected president of the United States. The widely unexpected and shocking decision by voters marks the resolution of one of the longest electoral seasons in U.S. history and heralds the start of what could be an era of unforeseen global volatility as the United States comes to be led by potentially the first post-Second World War president who has made several public statements at odds with the principles underpinning the liberal global order in place for more than 70 years. As I discussed on Twitter as results emerged, a Trump victory in the United States – considered unthinkable by many in the commentariat (myself included) – introduces exceptional geopolitical risk. Indeed, at once, several events thought to be remote tail risks become increasingly likely. Though I’ll revisit the topic in future posts at The Diplomat, I’ve decided to game out some of these possible scenarios in the Asia-Pacific here. First, in East Asia, one of the primary developments we can expect is the disintegration of U.S. alliances and a reversal of the momentum generated by the Obama administration through its “rebalance” to Asia. Japan and South Korea, two technologically advanced U.S. allies with acute threat environments, are now more likely to develop nuclear weapons, “breaking out” so to speak. Trump has explicitly complained that he feels neither ally pays their share for U.S. extended deterrence guarantees. This in itself, while a proliferation event reversing decades of U.S. nonproliferation policy, would also introduce the possibility of North Korea – the primary threat source in the region – reacting unpredictably. As these two allies consider breakout, we may see unexpected conflict emerge. North Korea, the principal proliferation risk as the Obama administration leaves office, will no doubt see the importance of its own nuclear arsenal and double down on its ballistic missile and nuclear weapon programs. Given the risk of proliferation in its immediate environs, Pyongyang may choose to exercise the ultimate “coming out” event by staging an atmospheric nuclear test, using a medium- or intermediate-range ballistic missile. The last atmospheric nuclear test was conducted by China in the 1980s, making this event a particular nonproliferation failure and considerably raising the stakes on the Korean peninsula and in the region. These Northeast Asian scenarios, while severe, merely begin to scratch the surface of what may be possible in the Asia-Pacific given the tail risks associated with a Trump victory and a potential inversion of the U.S. approach to the region. China, as America’s great power competitor, would find a U.S. power vacuum opportune for a range of objectives. For instance, given the already deteriorating ties across the Taiwan strait with the Democratic Progressive Party government of Tsai Ing-wen at the helm in Taipei, it is not unimaginable that Beijing would see it fit to initiate massive hostilities across the state to pursue coercive unification – an event that would certainly be a tragedy, yielding high casualty counts. This scenario is still discussed as the most likely warfighting scenario for the People’s Liberation Army as of its most recent White Paper, and it’s easy to image in Trump a commander-in-chief wholly disinterested in expending American blood and treasure to deter Chinese aggression against democratic Taiwan. Meanwhile, in South Asia, a Trump-led United States raises the possibility of radical change as well. For instance, Trump, given his disinterest in even-handed alliances, may choose to entirely push aside Pakistan. Tragically, the U.S. commitment to Afghanistan’s ongoing struggle against the Taliban insurgency would come to a swift end, leaving the country to fend for its own security. As the 2016 campaign demonstrated, Afghanistan has already been largely written off by the American public, with little interest in potential policy proposals to ameliorate the condition. I’ve written before about Trump’s potential interactions with India. While that remains unpredictable given his vacillations on several points of interest to Indian leaders, momentum on security and defense cooperation between New Delhi and Washington would likely evaporate, to India’s detriment. India may, however, welcome more explicit condemnation of Pakistan’s use of militant proxies under a Trump proxy — a development that may be likely considering Trump’s lack of interest in diplomatic nuance. Finally, there are the other tail risk scenarios that I haven’t been able to get into fully. Trump, with his exceptionally iron-fisted immigration policies, would risk alienating considerable Asian diasporas in the United States, potentially feeding back into how the country is perceived back in Asia. Moreover, a Trump-led U.S. could choose to withdraw from international treaties and, in a more extreme scenarios, withdraw from the United Nations, leaving Asia and the rest of the world to fend from themselves. Overall, as far as great power contests are concerned, the United States would be likely to cede the Asian commons to Chinese dominance and hegemony. Beijing’s economic and normative initiatives, encapsulated in the One Belt, One Road set of initiatives, would be supercharged as the United States withdraws. A Trump presidency also presents broader global risks. For example, Trump’s skepticism of climate change and the mitigation measures put in place by the international community at, for example, the COP21 meeting in Paris last year, suggest that broader global efforts to stem the negative effects of global warming will fall flat. This would lead to climate-based conflict, in Asia and elsewhere in the world. Finally, there is still-infinitesimal-but-real risk of a nuclear deterrence failure or brash decision by a President Trump leading to a U.S. nuclear first strike, portending a broader global nuclear conflict that could bear catastrophic effects the world over. The matter-of-fact tone in discussing some of the above scenarios was once unimaginable, but those of us that think and write on foreign policy may have to become more comfortable with ruminating on scenarios that once seemed highly unlikely. With a Trump presidency effectively amounting to an irreversible “off switch” on the liberal global order underpinned by the United States since the end of the Second World War, all bets are off. Asia and the rest of the world will have to learn how to successfully navigate the intense uncertainty and geopolitical risk inherent in the “Trump doctrine.” And, of course, there is always the possibility that none of the above scenarios come to pass and we witness relative continuity – either through a disinterested president leaving these matters up to a largely static bureaucracy or some miraculous about-face that leaves Trump open to advice. Hillary Clinton, Trump’s opponent, represented everything that was familiar about the postwar U.S. view of the world. Trump, by contrast, represents pure id. The U.S. president-elect’s vagaries could unleash untold instability. It’d be best for the states of the Asia-Pacific to begin gaming out the likely scenarios and how best to navigate the next four years, which may stand as the birth pangs of a new world order. Ankit Panda is an associate editor at The Diplomat, where he writes on geopolitics, security, and economics.